Indian subcontinent consists of a number of separate linguistic communities each of which share a common language and culture. 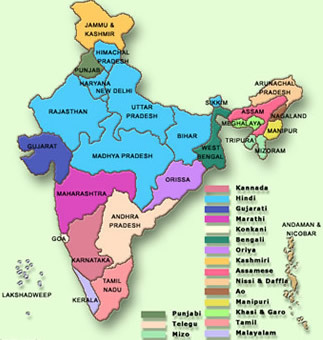 The people of India speak many languages and dialects which are mostly varieties of about 22 principal languages. Some Indian languages have a long literary history. Sanskrit literature is more than 5,000 years old and Tamil 3,000. India also has some languages that do not have written forms. The rich Indian heritage flows through many languages. Sanskrit is their mother with its literature extending well over 3500 years! The Sanskrit course is correspondence course comprising 4 stages of 10 lesson each. Hindi, the national language of India, and Gujarati are taught at the VOICE. Students of Gujarati and Punjabi are encouraged to take GCSE examinations.